Here's an opportunity to paint, network, enjoy raffles and shop from vendors. The price includes price includes canvas, guided instruction, and paint supplies. 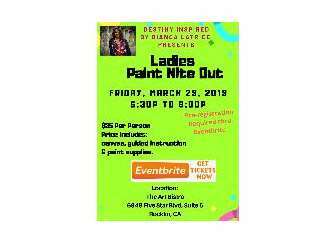 Vendor spaces are available; email destinyinspiredconsulting@yahoo.com .